If you have just migrated from a Windows Operating system to MAC operating system and if you are surprised that there is no option where in you can “add/ remove programs” option in MAC then not to worry. 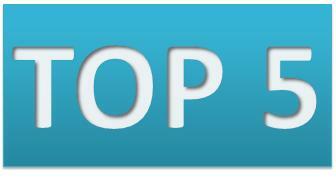 This article will help you in uninstalling the programs easily by simply following a simple procedure. Yes, there is a shortcut option wherein you can uninstall applications in MAC OS which is all you need to do is to move the application in the trash bin but that doesn’t effectively uninstall the program as small traces are left behind. Manual deletion of these trace files is very hectic as we don’t know where they might be present, so for all this you can simply uninstall the programs which you wish to with many third party applications which are present in the market. Ranging to free to paid, we will glance on top four third party applications which will help you to uninstall the program in a proper way. 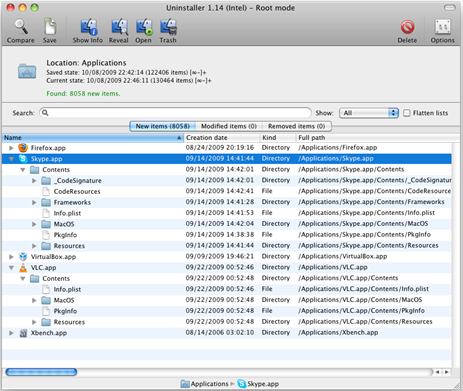 MAC OS UNINSTALLER (TRIAL and BUY): Mac OS Uninstaller software is fast, robust and easy looking software which can be used on any Power PC, Intel Mac computer which runs on Mac OS X version 10.4 or higher. With this software, you can find changes which are made in a folder or in a disk which takes snapshots of the file hierarchy system and compares between the two dates. You can try for free for a period of 15 days from here without any limitations. You can buy this software for 2 users at 29$. 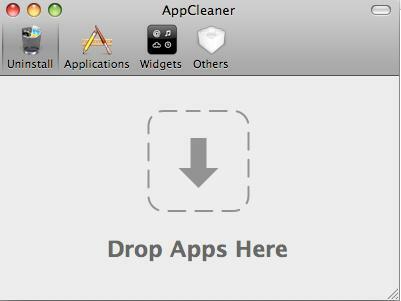 APPCLEANER UNINSTALLER (FREE WARE): With extremely simple user interface and with features like smart delete and history log this app stands different, adding to the convenience this application is available for free and can be downloaded from here. By simply dragging the file in to this app, you can uninstall the file very easily or also you can use this application to search all the installed programs and from the list of compiled programs you can uninstall the program. 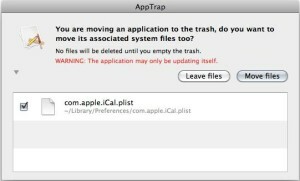 APPTRAP UNINSTALLER (FREE WARE): APPTRAP application is the simplest application if you wish to uninstall any file the MAC way. 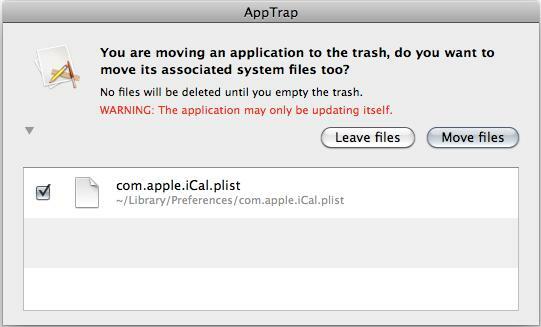 When you are moving any application to the trash a pop up will automatically be popped up where you will be automatically asked whether you want to move associated preference files too, which is a truly smart uninstallation move. This is a free ware tool and can be downloaded from here. 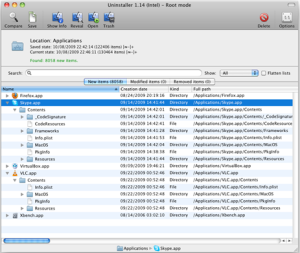 APPZAPPER (PAID APP): App zapper simply claims that Apple has forgotten the uninstaller tool. This software too works on the funda of drag and drop, wherein you need to just move the file which you wish to uninstall, it’s not necessary that you need to move .exe file, it can also be a shortcut. As soon as you drag the icon, all associated files come in a list pattern, now select all and simply “zap” it and you are done with the installation. This tool comes with a price tag of 12.95 $ and can be purchased from here.